Superior Room with twin beds. Whether for breakfast or a late dinner, before or after the theater, in the restaurant or on the patio, standing or on comfortable sofas, it doesn't matter where, how or when, Patio #378 offers simple yet delicious contemporary Mediterranean cuisine. Very Happy with room, breakfast and Gym! in general my stay and the service at the hotel was good. As i'm travelling for business, it's only a pity that it is not possible to have also the bar and restaurant expensives on one bill. The reason for this is the different taxes values. In my opinion this should be possible to have it listed at one bill and make one expensive claim report at the company. Rooms were clean and adequate. Was definitely different than the Sheraton, Buenos Aires that I stayed at the previous 4 days. I found all the staff from the maid service, reception, restaurant and bar to be much more customer focused and friendly. Professional service, comfortable stay, central location. As usual nice attention by all the staff. Nice clean hotel, has a good breakfast and wonderful sitting area next to pool. Global quality is much bellow than average NOVOTEL experience ! General conditions of the building are “very average” and Rooms are getting very old and better not to look into details ! 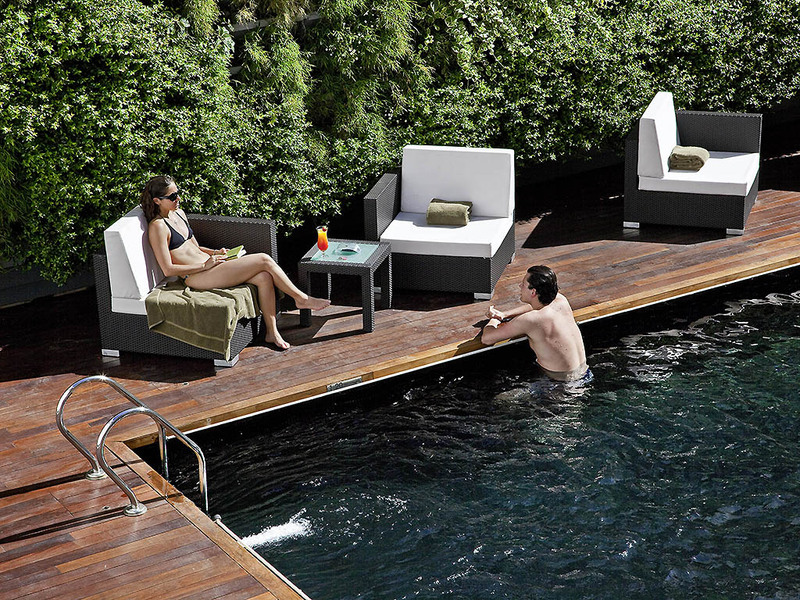 9 out of 10 satisfaction at NOVOTEL Buenos Aires!!! It was great! From the speedy check in, the super courteous reception staff and the spotless suite, we loved our stay with you Muchas Gracias B.A. Novotel! It's a very nice hotel for the price paid and in a great location for touism. You can walk to many areas as well as us the Subterranean via the Uruguay station on the red line. From eze airport you can take the Tienda Leon bus for 10 USD to puerto madero, walk 2 blocks to the Aleman station and get off on the third stop at Uruguay. My only complaint was the mattress was not comfortable, I wish they would add a foam mattress pad like the Ibis chain uses. The staff was great. Julian and Nicolas and Augustina. Thank you for all. Room was cleaned daily however no replacement of coffee during our stay and dirty cups left near kettle were not Asher. OK. Loyalty member ship not clearly recognised. Very nice hotel, very close to the center of the city. Very helpful staff. Stayed here 3 times before, this my hotel in BA. Next to the obelisk, many restaurants around. Good breakfast. Great swiimming pool area to relax. Staff were very polite and helpful. Check in was easy and staff arranged transport to the airport for us in a nice clean taxi. Hotel was clean and up to date but there were a few issues. The door to my room looked as if it had been forced at some point and the security bar inside was only loosely attached. Worst of all though was the checkout procedure. I stayed there on two occasions and on both it took nearly 20 mins to check out and that was after you made it to the front of the line. It is excruciatingly slow. I have no idea why, to make matters worse there was only one person there to assist so there was a considerable queue. Final issue was we ordered a taxi the night before we were due to check out and it never came, they had no record of having booked it yet three of us remember asking them to do this. Fine modern hotel with great service.